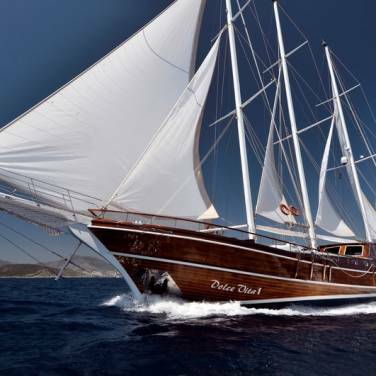 Motor sailer Romanca is a luxury motor yacht where the height of luxury cruise and a range of Croatian dream destinations are brought together in a spectacular sailing holiday. With its 8 double bed cabins, each one with private en suite bathrooms and air conditioning, Romanca can accommodate up to 16 passengers aboard. Even though the exterior design is reminiscent of a traditional sailing yacht, motor sailer Romanca is equipped with all the conceivable amenities you would expect from a luxury cruiser. The highlight of the interior layout is the lovely salon with a dining area and a bar, offering ample natural light and elegant touches that create a serene and relaxing ambiance. 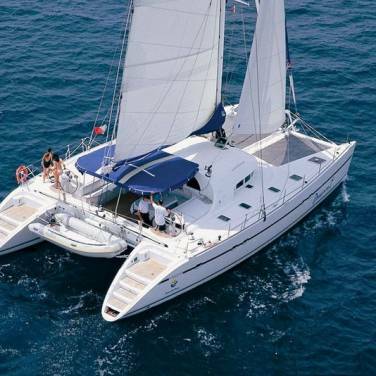 Romanca also features a large sun deck equipped with sun mattresses and cushions while an aft deck with a sheltered dining table for 16 is the perfect place for you to enjoy the fine flavors of the Mediterranean culinary delights. For charter guests seeking entertainment and memorable outdoor moments, there is a range of water toys available on board, from Jet Ski, fishing and snorkeling gear to dinghy with an outboard engine. Besides providing an ideal setting for a remarkable cruising adventure, a highly professional and experienced crew of Romanca will make you feel right at home within the yacht's dazzling splendor. Motor sailer Romanca is available from Central Dalmatia and the bewildering scenery you will discover here will make you fall in love with this exceptional cruising region. 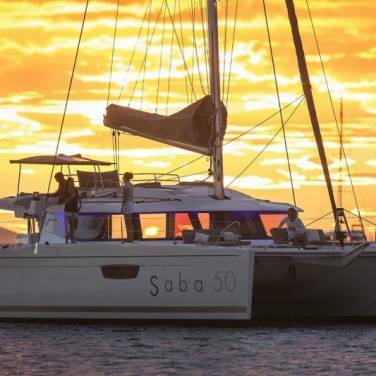 With a seafaring culture still strongly present, Croatia is a land of contrasts, soul-stirring landscapes and destinations bursting with historical treasures and there is no better way to bring these sights to life than by embarking on a motor sailer Romanca.